RUSH: Well. Well, well, well, well. Here we are. Days like this, couple days after election, the left starts behaving as who they are. I keep asking myself if people really knowingly vote for this. We got these mobs outside Tucker Carlson’s house now in Washington just ’cause he’s on television criticizing liberalism. I mean, this is what happens, folks. The left is all about making sure you don’t get to say what you want to say or even think what you want to think. And did people knowingly elect people who believe in this? You know, I’m forever tearing myself up trying to understand this. You’ve heard me go on and on and on about how I wish people were more ideological and understood what liberal means, leftist means. And, sadly, I just don’t think people are, except you know what they do think they know what a word means? It’s conservative. When you say “conservative” to people, do you know how negative that name is as a brand, for example? They think they know what that is. And they think it’s the worst thing in the world. They think it’s the most scary thing in the world. It’s the most outrageous thing they have to oppose. But they hear “liberal” or they hear “leftist” and they don’t hear anything. It’s mind-boggling. I mean, the left is who it is, and there’s no mystery about it. They were filled with mobs and mobs and mobs during Kavanaugh. We’re told that the Kavanaugh thing had a major impact on Senate races. 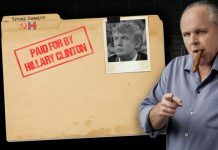 And what was the Kavanaugh thing? Well, it was a couple things. It was obviously a made-up bunch of phony charges coupled with the mobs, coupled with the bullying, nobody wanted any part of. And yet people that the mobs support and vice-versa, people that support the mobs ended up being elected in several places, and it remains, to me, a huge curiosity. Greetings. Great to have you here, folks. No press conferences, that I know of, that are gonna interrupt the program today, so we should have a pretty good flow. If you want to be on the program, 800-282-2882. The email address, ElRushbo@eibnet.us. There’s real panic breaking out there on the left. And as I have studied the Drive-By Media cable news broadcasts today, they’re not talking about this much. They’re focusing on Acosta and how the White House is just horrible and communist and Stalinist-like by denying Jim Acosta a press pass. You know, even that. What is the big beef about Donald Trump? 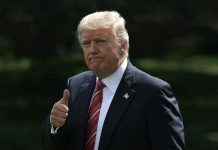 What has been the big beef, from the get-go, from Never Trumpers, from supposed rock-ribbed Never Trumper conservatives and others, that Trump has no manners, right? That he’s not enough of a diplomat, he’s not sophisticated enough. Donald Trump is just ew, an ogre, he’s so rough around the edges, he’s so impolite and rude. Well, what the hell was Jim Acosta yesterday? I mean, it was the epitome, the definition of rude. It was the definition disrespectful. It was the definition of the absence of decorum. It was the definition of provocation. I think Acosta has been angling to get kicked out of the press corps for a while now. I’ve got the audio sound bite to prove it. I first made that suspicion known back on July 26th. I think people at CNN have been angling for exactly what happened yesterday. I don’t think there’s any question about it. To be that rude, to have that lack of manners, to be that disrespectful had to be done on purpose. And even if you hate Trump and dislike Trump, you don’t have to behave the way Acosta did. Now we’ve got this history revisionism where some essential White House intern was manhandling Acosta, a young woman was manhandling Acosta? I saw the media circling the wagons and jumping all over this young female intern yesterday when it was Acosta that wouldn’t give up the mic. She’s just trying to do her job. 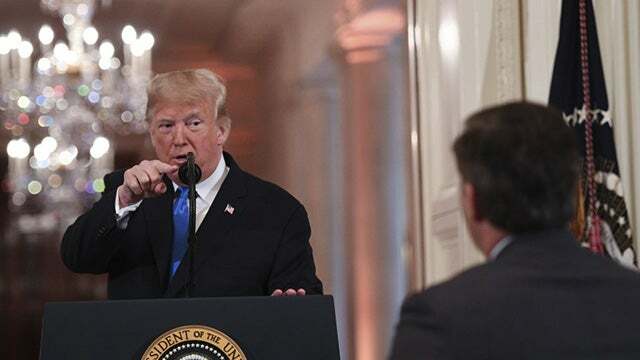 Trump was refusing to answer any more questions and telling everybody we’re moving on to the next journalist and Acosta won’t give up the microphone, ends up shoving her, and that became the White House intern bullying Jim Acosta. You know, we’ve been there, done that. Does anybody remember the name Corey Lewandowski? The famous Corey Lewandowski during the presidential campaign. It was a-two-week media feeding frenzy. At the time, Lewandowski was the campaign manager for Trump for president. And he was accused of literally knocking a female reporter to the ground in a hotel at a post-primary election press conference. And it turned out they ran the video of it, slow motion, reverse slow motion, natural speed, fast forwarded, they even ran it left to right, right to left, they ran it every which way and it proved he didn’t knock anybody to the floor. But that didn’t stop the woman and her boyfriend and others from suing Lewandowski, and they went to the Palm Beach County state attorney ’cause it happened down here, and the Palm Beach County state attorney says, “There’s nothing here. We’re not charging the guy, zip, zero, nada.” Yeah, there was actual video footage of the incident. It was clear from the video Lewandowski did not knock her down. In fact, it wasn’t even clear that he touched her. But he got fired. You know who replaced him? Do you remember who replaced him? You don’t, do you? Does the name Paul Manafort ring a bell? It was when they falsely accused Lewandowski of knocking a female reporter to the floor that the Trumpster goes out and gets Manafort in there for a while. I think. I think. I could be wrong about it. It could be that Manafort was before Lewandowski. I’m not sure. But regardless, whether it was Manafort or not, we still had an hysterical fake news media going bonkers over something that didn’t happen. Now they’re going bonkers over something also that didn’t happen yesterday. But Jim Acosta, apparently anybody in the press corps can be as rude and unsophisticated, as rough around the edges, as disrespectful as they want and they’re never going to be held accountable. 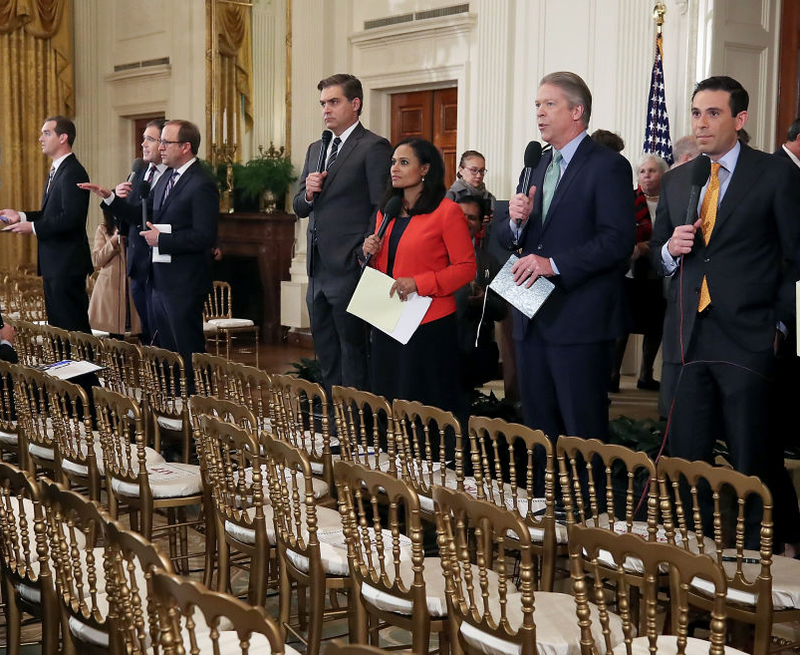 They can abandon all official White House pressroom decorum. But you see, with Trump as president, the Drive-By Media needs their space to destroy. You know what the Drive-By Media is? They’re protesters with credentials. They are their own mob. They are their own potential mob. They are click bait. Hell, even Larry King, who came out of whatever he’s been holed up in the last number of years, he’s got a show on the Russian television network. And even he started complaining about CNN. They don’t even do the news anymore. All they do is just Trump this and Trump that, Trump here, Trump there, and that’s pretty much true. It’s a manufactured incident. Here, let me go back and play sound bite number one. This is me last summer in July. This is after it was a White House correspondent named Kaitlan Collins was banned from a White House event. 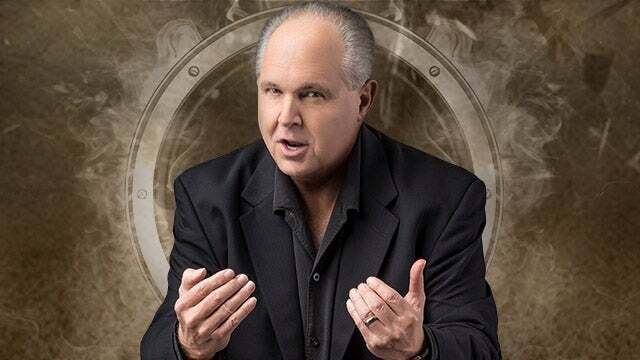 RUSH ARCHIVE: I actually think, folks, I think CNN and all the rest of them, I think they’ve actually wanted to get a White House reporter kicked off the detail. I think they’ve been angling for it. I think it’s a great story for ’em. I think they’ve been trying to get kicked out. I think Jim Acosta has been trying to get kicked out. I think they’ve been trying to behave in such a way as to get kicked out so they would have that story and be able to run with that story. RUSH: Right. And so it happens yesterday, and the minute, I mean the minute Acosta gets kicked out, he goes over to his own network, which makes sense. ACOSTA: I do think that this is a test, uh, for all of us. ACOSTA: I do think they’re trying to shut us down, to some extent, inside the White House press corps, and to some extent I think they’re trying to send a message to our colleagues. ACOSTA: I never thought in this country that I — I wouldn’t be able to go and cover the president of the United States, uh, simply because I was trying to ask a question. RUSH: You weren’t asking any question! You were issuing demands and making statements. You were challenging. You weren’t asking any questions, you buffoon! What do you mean? You never had a president that granted the media this kind of access. He can’t stop! If he’s taking a walk somewhere and there’s a gaggle of press people, he stops and he’ll talk to ’em for a half hour. You guys don’t know what you’re talking about. You have more press access with Donaldus J. Trump than you’ve had with your precious Barack Hussein O, who disdained you. You guys all think Obama loved you and Obama admired you and Obama thought of you as an equal. Obama thought you people were a bunch of schlubs. He put up with you because the office required it, but he doesn’t want a thing to do with you. You are low-class, second-class citizens to him. You can’t keep up with him. He disdained the fact he had to deal with you, but you guys sit there thinking, “Obama? Oh, my God! We love Obama. Obama’s such a great guy.” Trump gives you more access, Trump tells you more truthful thing about who he is, what he’s thinking, how he’s feeling, how he’s acting — and you sit around and you sit there in judgment. “Oh, what a rotten guy Trump is,” when you’ve got more assess than you’ve ever had. Meanwhile, you give Trump no berth whatsoever. He better behave according to the decorum and the manners that you have set forth. But you can behave like infantile 6-year-olds all day long, any time you want, and nobody’s supposed to notice or criticize that. Well, a lot of people do, and a lot of people have. Here’s Major Garrett. One more here, before I get to what’s really got people frightened in Washington that’s now being talked about. This is the Late Show… (sigh) We have the Late Show open. What do you mean? You guys remember when Dan Rather totally made up the story about George W. Bush and the National Guard and it was exposed as totally fake news? He made it up! 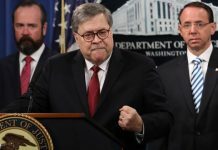 No documents, no witnesses — and what do they do? Brokaw and Jennings created a new award to give to Dan Rather, some career recognition thing, and they had a big dinner for him. Of course they circle the wagons to protect the news, to protect the industry. What is this, journalists on their own business? GARRETT: (solemn whisper) There was a collective sense that the president is not playacting with his attacks on the media. RUSH: Stop just a minute! Stop it! Is anybody at a Trump rallying storming your house, Major Garrett? Have you ever felt personally threatened by anybody there? Give me the evidence that somebody at a Trump rally has been attacking the media, threatening the media, showing up where you live. Give me the evidence here. Come, Major! You’re better than this. It’s the left, as evidenced by all of these mobs during Kavanaugh and now showing up at Tucker Carlson’s house. And, furthermore, there are other people. Ann Coulter and Hannity’s home addresses have been given out and they’re circulating around those locations now too, and you sit there and talk about how threatening it is, how unsettling it is to go to a Trump rally? Trump rally is populated by some of the most polite, decent people in this country, which you also disdain because they are rural; they are not urban. Well, that’s a big story in the Stack coming up today too. Here it is. I’ll give you a little bit of a heads up. “NBC Reporter Wonders How Long ‘American Majority Will Tolerate Being Pushed Around By a Rural Minority,'” a bunch of people in rural America. You know what this is? We talked about it yesterday. You’ll get a map of all the counties in the contiguous 48 states, and it’s 99% red. It’s blue everywhere else in the cities and in the coasts. And that’s what this guy’s talking about. They in the blue, they are the majority, and you people out there in rural America? You red states and red county people? You are the minority, and you’re bullying people around. I used to think that the left stood up for minorities. I used to think that the left and the Democrat Party was there to protect the minority. But apparently not, because they think of themselves now as the majority being pushed around by a bunch of you hayseeds and hicks who live in red, rural, and suburban areas. You know how they’re doing this? They’re running this silly, stupid comparison. (impression) “You know, the Democrats got 55% of the votes for Senate, Republicans got 37% of the votes for Senate, and still the Republicans pick up seats?” It’s exactly as it’s been designed, you dummkopf! That’s exactly how Senate was designed! Every senator, every state gets two senators so that everybody in a state is represented equally without regard for population in the Senate. It’s over in the House where population is considered and districts are created and drawn. Maude Behar. You want to talk about…? Maude Behar accused the Republicans of winning in the Senate because of gerrymandering. Folks, it’s impossible to gerrymander the Senate! Every state gets two of them! Gerrymandering happens when congressional districts are redrawn and take weird shapes and whatever. But gerrymandering? This is… She’s considered a leading light. Gerrymandering is why the Republicans won the Senate. “Yeah, and they picked up seats with only 37% of the vote for Senate!” Exactly, because the founders… Even though this is a majority rule country, the founders built in all kinds of protections for minorities, which the left used to champion! ARONBERG: — that Ms. Field brushed or touched Mr. Trump’s arm. He then appears to react to Miss Fields by pulling his arm back and away from her. 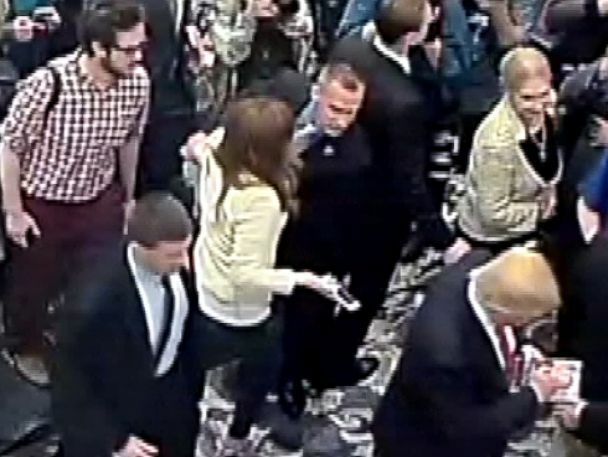 ARONBERG: At which time, Mr. Lewandowski reached back and grabbed Ms. Fields arm pulling her away from Mr. Trump. RUSH: That’s right. That’s right. Lewandowski was acting kind of like a Secret Service agent. That’s what happened, and that video got misrepresented. But, anyway, it was a state attorney, Palm Beach County, that was April 14th of 2016 over in West Palm Beach.